This is billed as: “a focus on ‘New Voices: A view of African music from a Canadian perspective’. The artistic works will explore the changing styles of music, dance, and other art forms as practiced by African artists living in Canada as well as their non-African counterparts…” Here is an opportunity to see a hybrid culture developing in our own city. 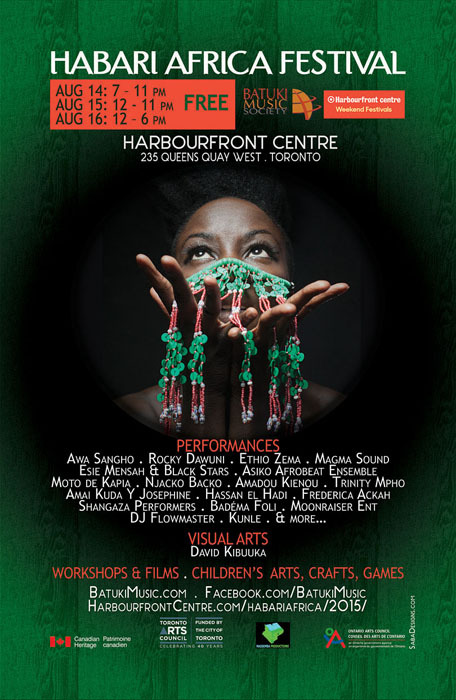 For more information, see http://www.batukimusic.com/batuki-music-society-presents-habari-africa-festival-at-harbourfront-centre/. This is only one of many examples of the world in Toronto. Please let us know about others. Stories of your adventures exploring our world are also appreciated. Please send posters to: ruthlormalloy@gmail.com.